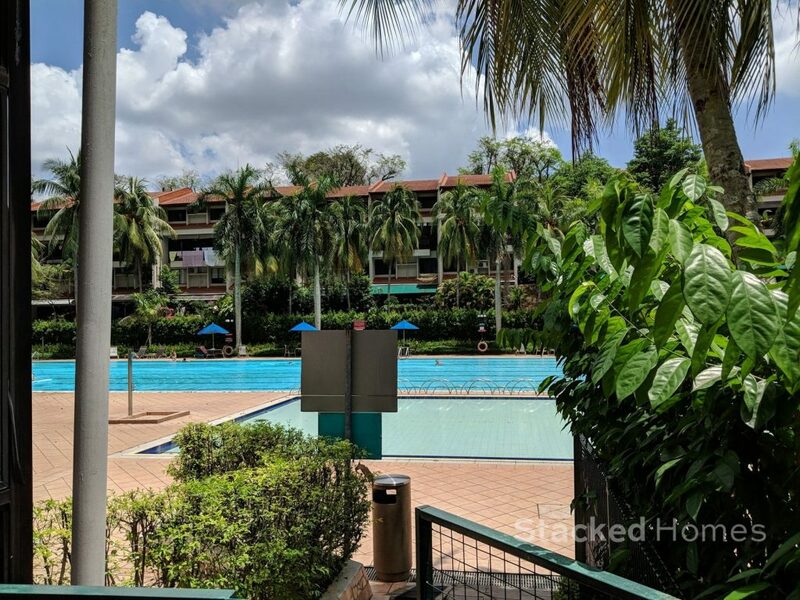 Sommerville Park is great if you are looking for big open spaces and spacious units. It’s good if your main transport is by public bus but if you require the MRT then this might not be your best bet. Sommerville Park is a huge development in the Holland vicinity. 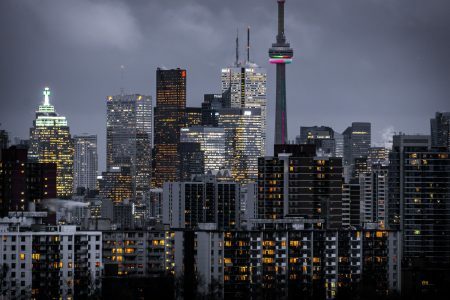 It is one of the oldest developments in the area, having been built in 1978. If you are not too familiar with the Holland area, this hidden in plain sight development is actually easy to miss despite its sprawling size as it is tucked away in the Farrer Drive area. We have said it a couple of times already, but this development is really absolutely massive. 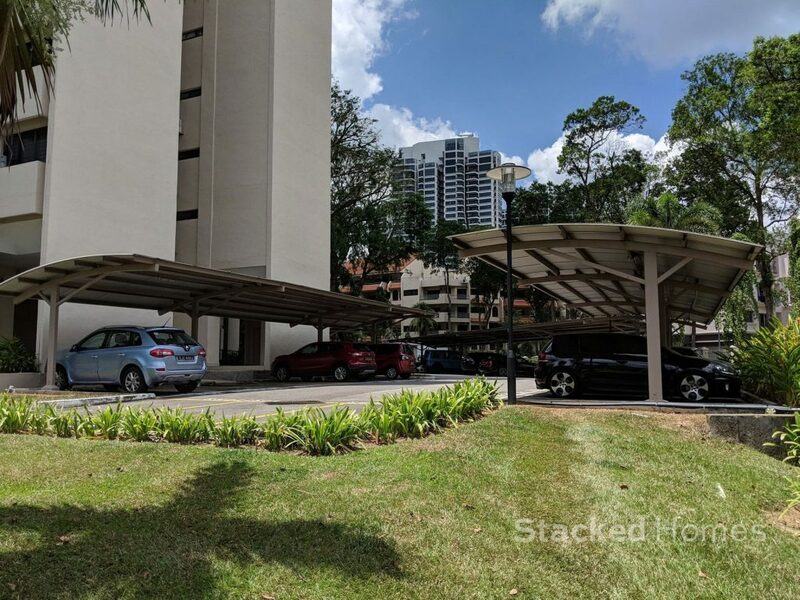 To put the amount of space afforded to the occupants of Sommerville Park, the recently launched Treasure at Tampines has 2,203 units on a 650,000 sqft plot of land. Sommerville Park has 456 units on a bigger 893,404 sqft plot. 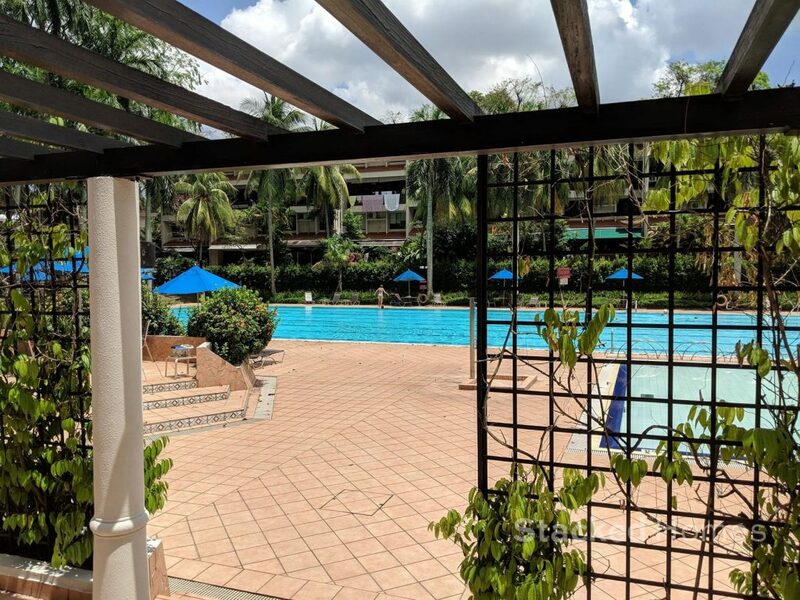 If openness and space is important to you, Sommerville Park should really be at the top of your list. 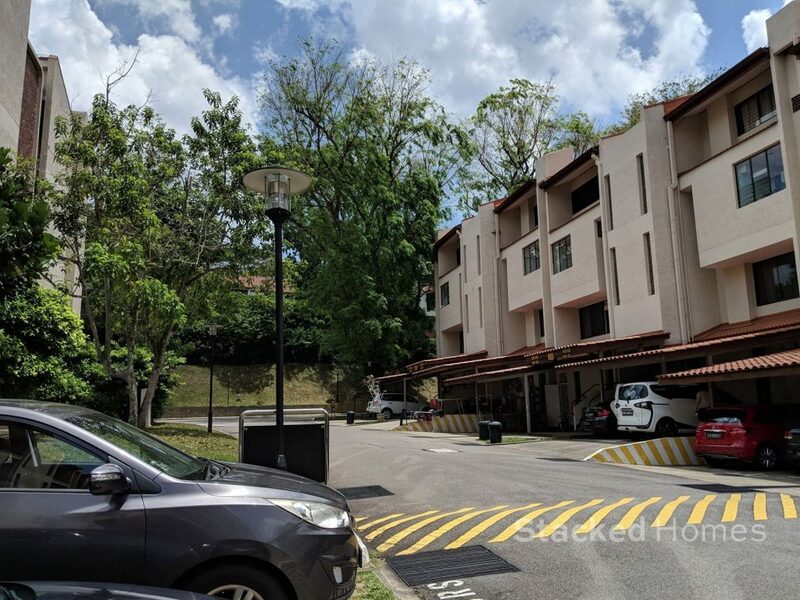 Sommerville Park is located along Farrer Drive, and one of its entrances is on the same road as a condominium that we have reviewed before, Pollen and Bleu. As such, you get many of the amenities and conveniences that come along with living in a mature estate like Holland. The entrance to Sommerville Park along Farrer Drive is quite far in, it is walkable when walking out, but walking in is a different story as there is a bit of incline. 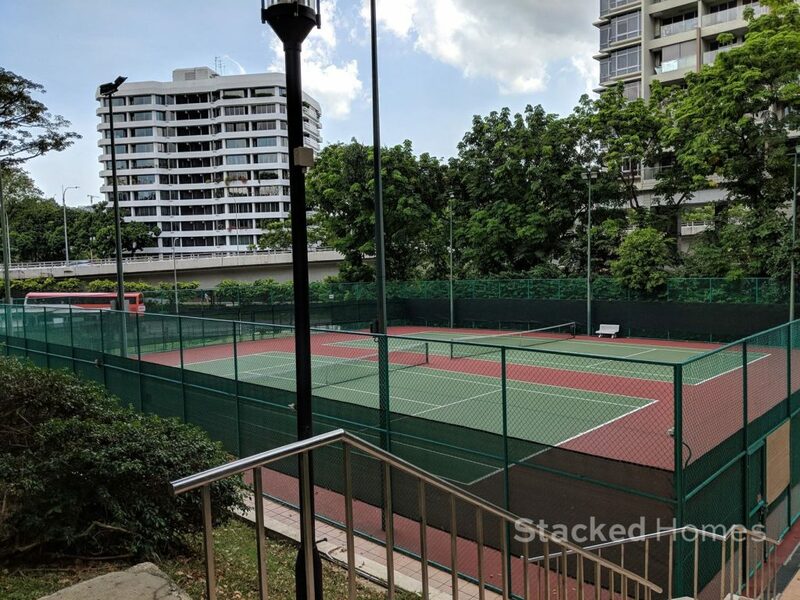 So if you aren’t the fittest around, you will not be happy to hear that this is the only entrance that allows you to access Farrer Road MRT station on the Circle Line. 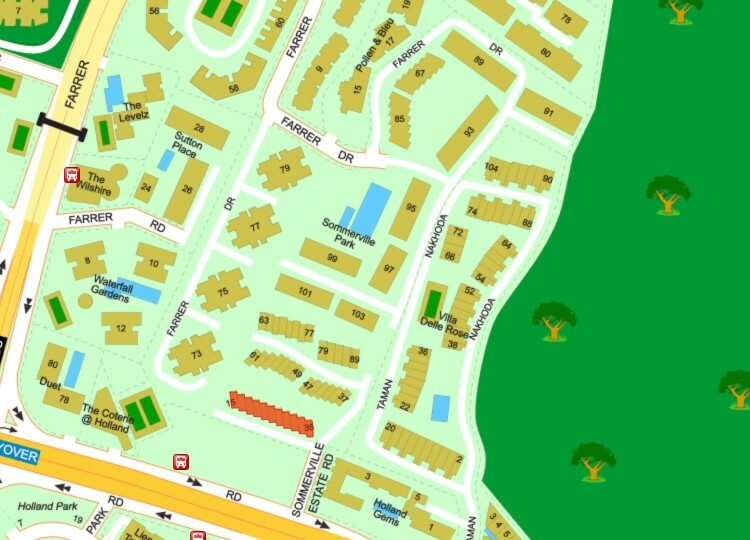 Because of how large the land is, you can also access the development through Sommerville Estate Road, which is along Holland Road. This can be a godsend especially during peak hours as Farrer Road can get quite jammed up. Not to mention if you are coming back from the Queensway area, you can turn right at the junction and then left to slip into Sommerville Estate Road, thereby skipping the congestion and having to do a u turn all the way at Serene. We are always big fans of developments with more than one entrance, and Sommerville Park is no different. Farrer Road itself is a major road as it allows you to reach two expressways, the PIE and AYE (hence the congestion). So like we said earlier, peak hours can reduce the traffic to a crawl at times. The traffic piles up in the morning towards Queensway, and again at 6 to 730pm on the other side towards the PIE. 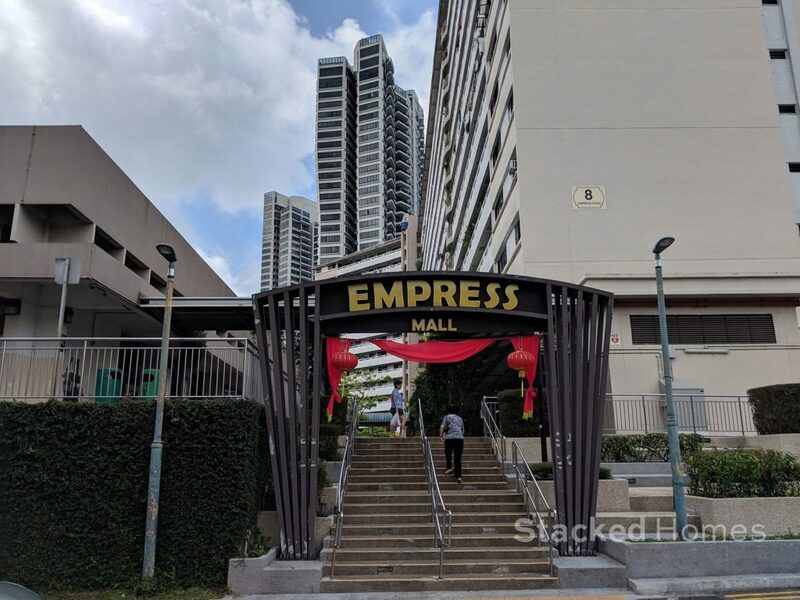 We like that Empress Mall is located just across the road, and while Empress Road Food Centre is not as star studded food wise as Tiong Bahru Market, it certainly does the job if you are looking for cheap local food. 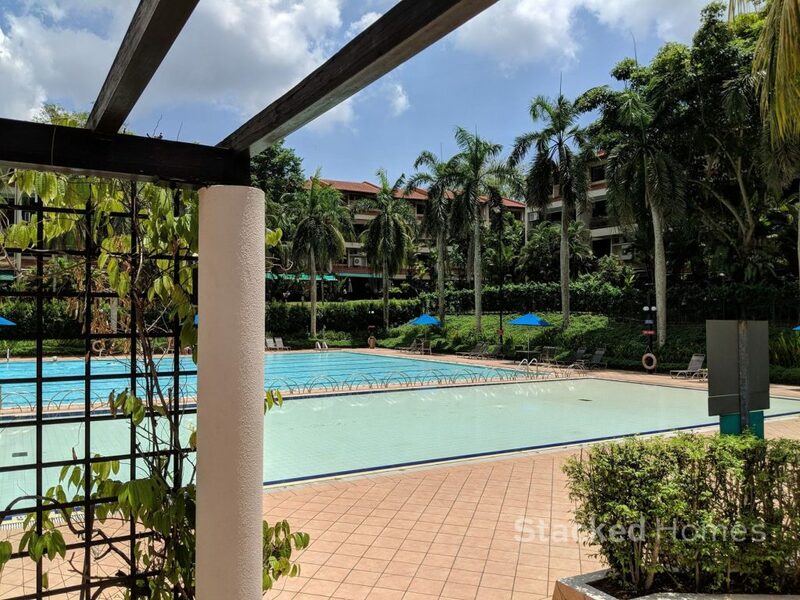 There is also a wet market, but expect the prices here to be slightly higher than the usual neighbourhood ones due to the clientele around the area. To be honest, this area is due a revitalisation and could be utilised a lot better. For example, a revamped hawker centre and maybe even a small supermarket. There are definitely enough people staying in the surroundings to support it. Nonetheless, there is still some small shops there, fruits, artisan bread and meat, a couple of clinics and even a 7 Eleven. 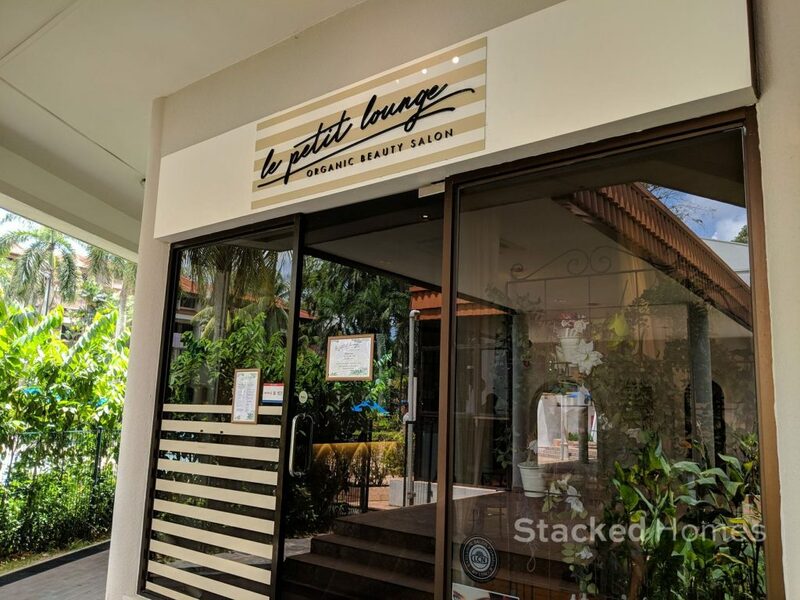 Next door at D’Leedon there is a small supermarket and several cafes which are open to the public as well. 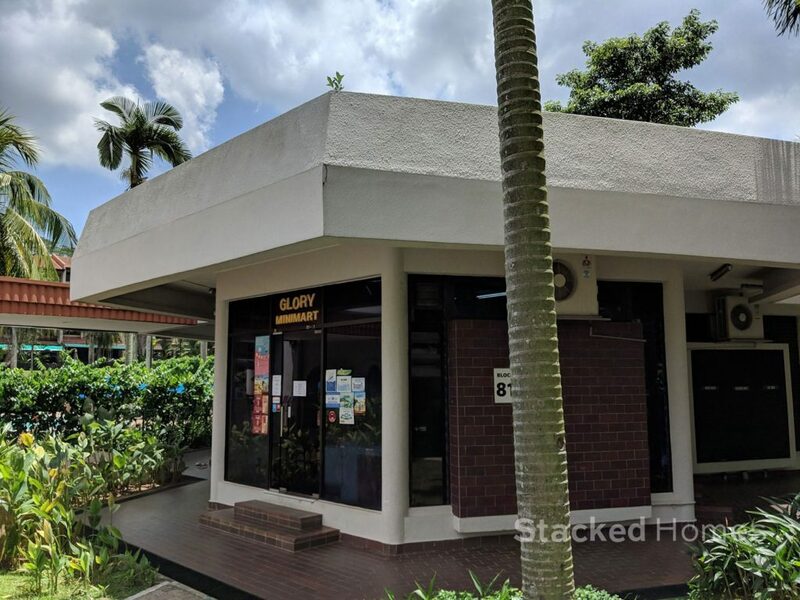 Down Farrer Road towards Cluny at Serene Centre you have a Killiney Kopitiam, Orh Gao craft beer and a 24 hour McDonalds. Cluny Court also has many small shops like Da Paolo and the Affogato Bar. If you are looking for local food there is Adam Road Hawker centre, which is famous for its Malay food like Nasi Lemak. Now in terms of transport links, Farrer Road MRT station on the Circle Line is the nearest MRT. But like we said earlier, the walk there is doable in 10 minutes but we wouldn’t consider that to be very convenient if you have to do it everyday. If your primary mode of transport is the bus you can access the bus stop quickly through the Sommerville Estate Road entrance. The buses that ply that route are 75, 77, 106,7, 105, 123,174, and 7B. Last but not least, schools are plentiful in this area. 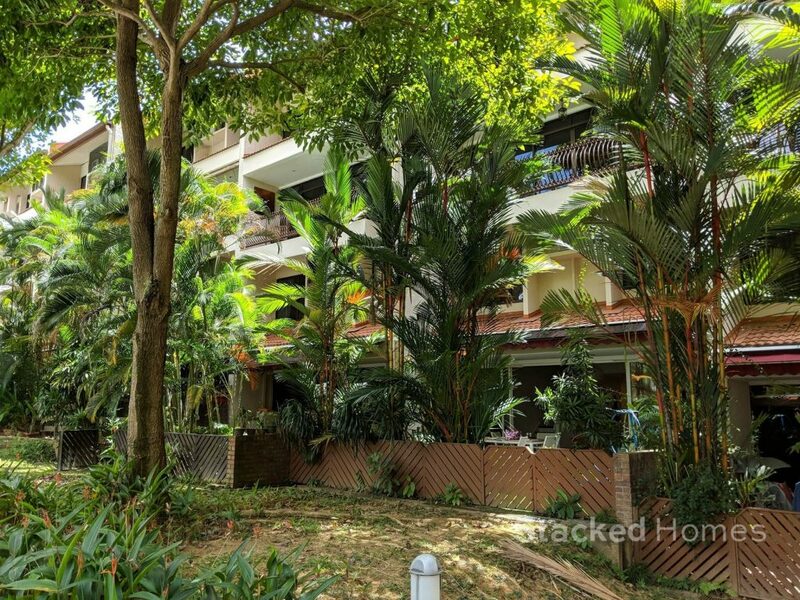 Saint Margaret’s Secondary and Nanyang Primary School are within walking distance. 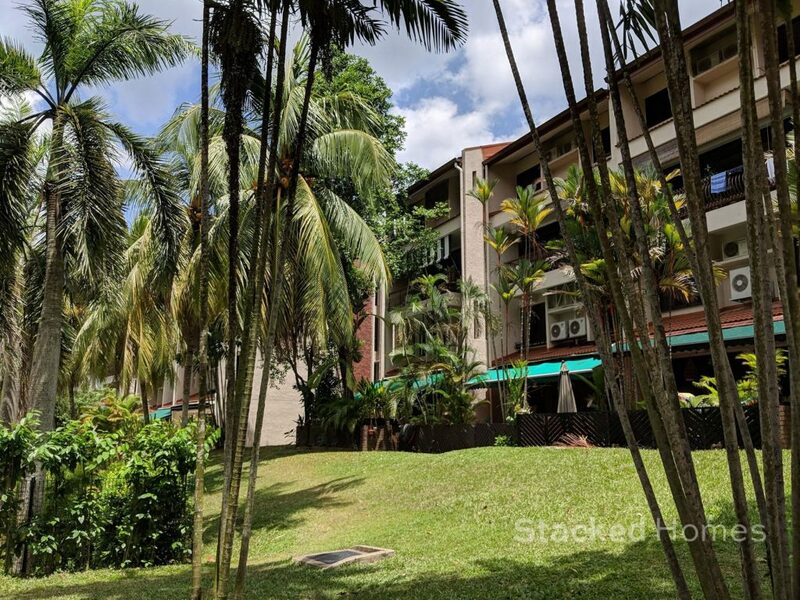 Further away are schools like Raffles Girls Primary School, Queenstown Primary School, Nanyang Girl’s High School, Hwa Chong Institution, National Junior College, Anglo-Chinese School (International) and Hwa Chong International Schools. As you can see from the site map, Sommerville Park sits on an enormous piece of land. 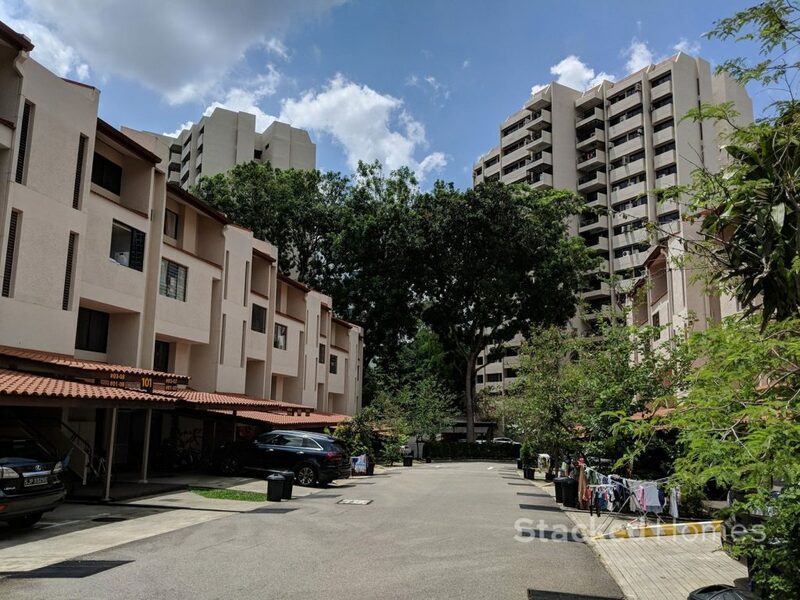 Because its nestled inside and surrounded by a number of different developments, you will not get any road noise at all and it is wonderfully peaceful and quiet when you step into the development. 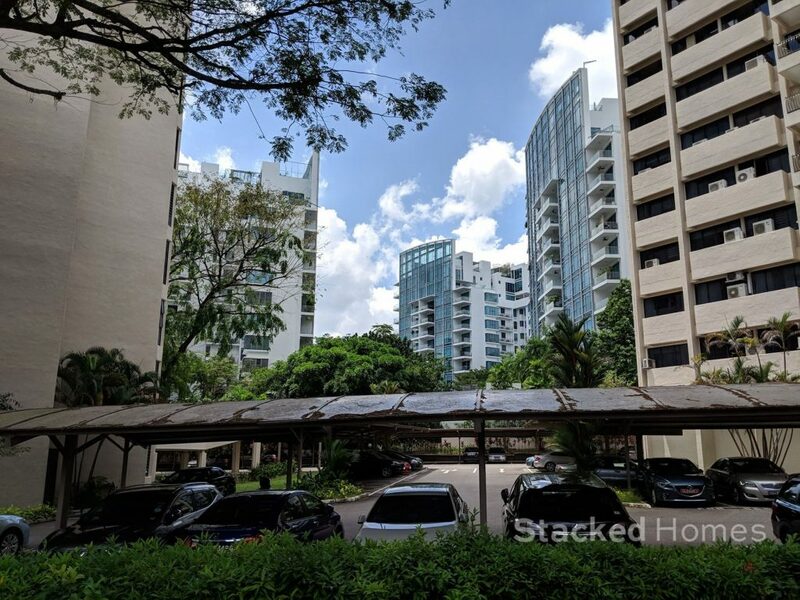 There is also more than enough space between the developments so you do get such a large sense of space, something that is quite rare nowadays in Singapore. 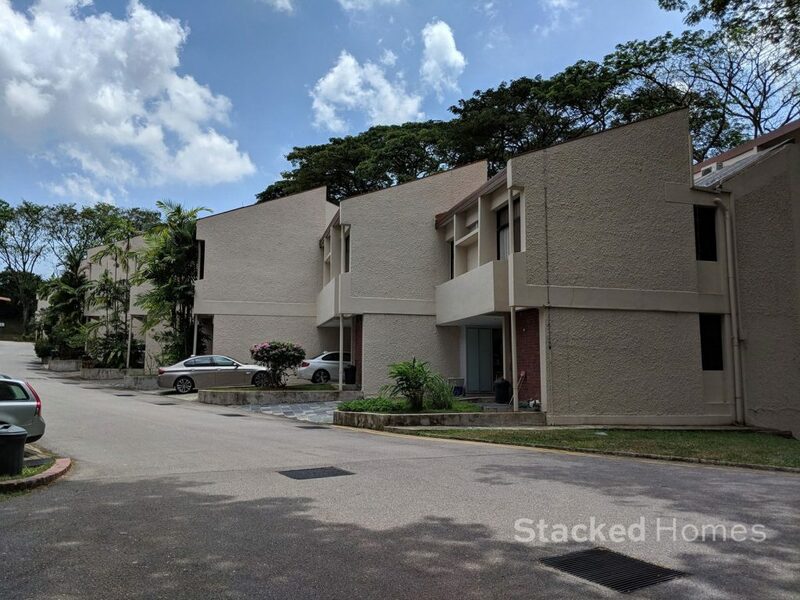 Because of the large space of land and relatively few amount of units, Sommerville Park is one of those developments that you can earmark for potential for en bloc in the future. Although we cannot imagine the price that must be paid by the developer for this huge prime piece of freehold land in Holland. Sommerville Park is super flexible when it comes to the unit mix. 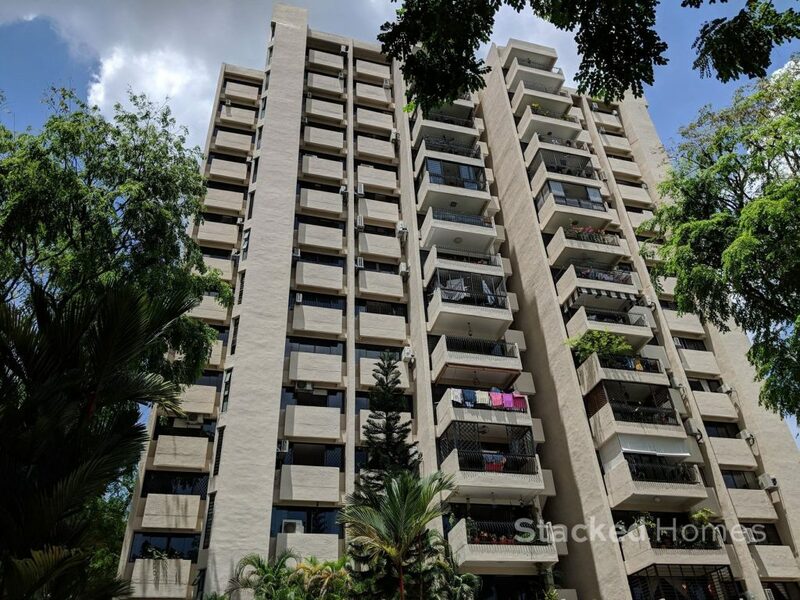 There is really something to fit the needs of everyone as it starts from as small as a one bedroom unit to a standalone 4 bedroom townhouse. 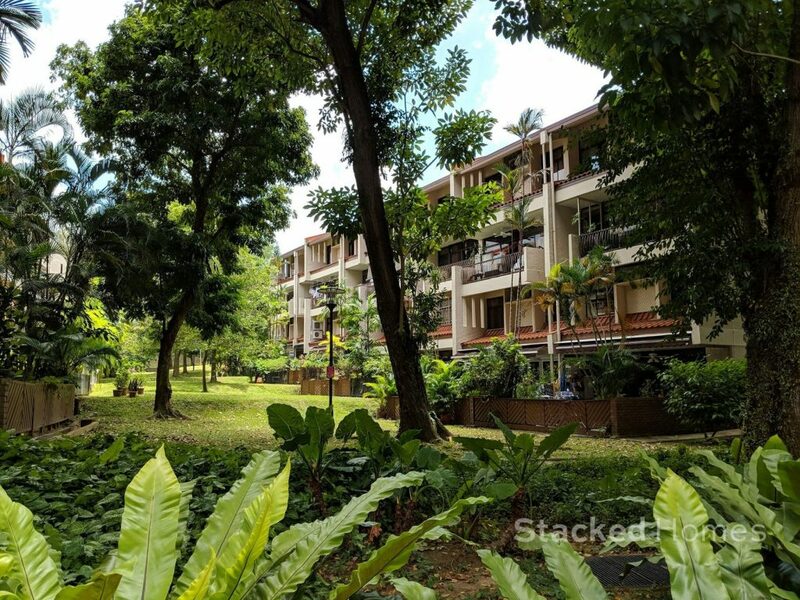 Speaking of which, 1 bedroom units are quite rare for old developments, so if your needs do not go past that but you still want a good sense of space, Sommerville Park is pretty unique in that regard. Sommerville Park is definitely very dated looking. But everything is maintained very well still, and if you can look past the not so modern exterior, it is what you do with the inside that counts. 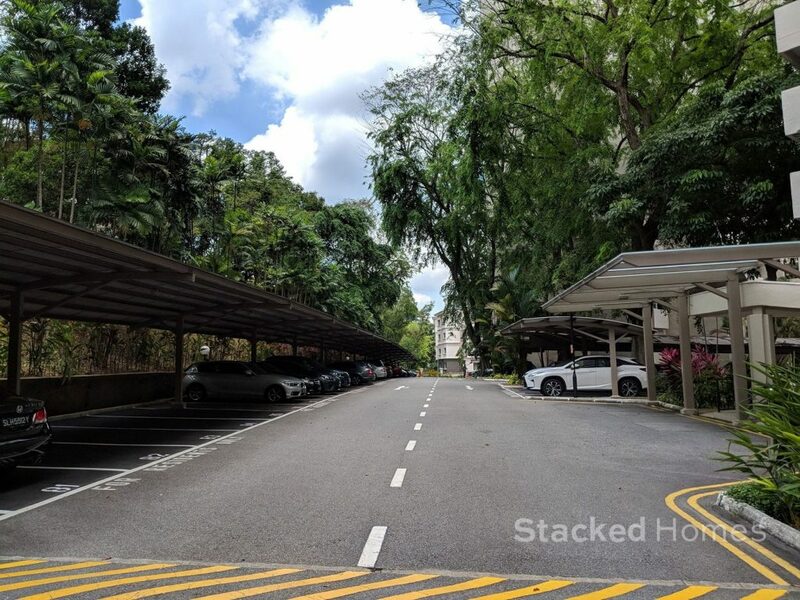 There are ample carpark spaces here, unfortunately there isn’t any underground space but the resident lots are sheltered at the very least. Although if it is raining you will still have to run to your block, which is a downside. But the luxury of space here should make up for that. 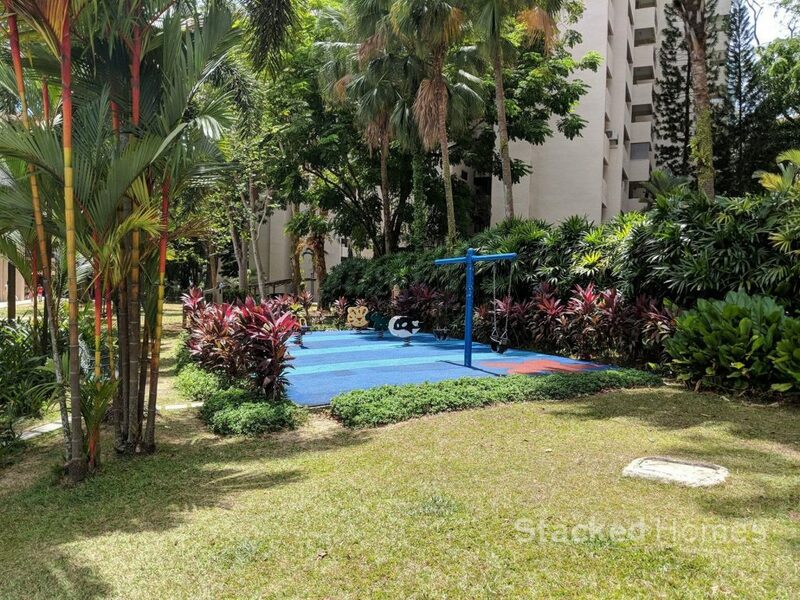 Obligatory playground within the condominium. With the vast amount of space, it does seem a tad tiny. On a side note, kids will love the amount of freedom and space the place has. So back to the good old days of block catching and hide and seek. On our trip there, we did see a number of kids running around, its definitely a great way to keep them occupied. You know a development is big when they have their own minimart just to serve the needs of residents. 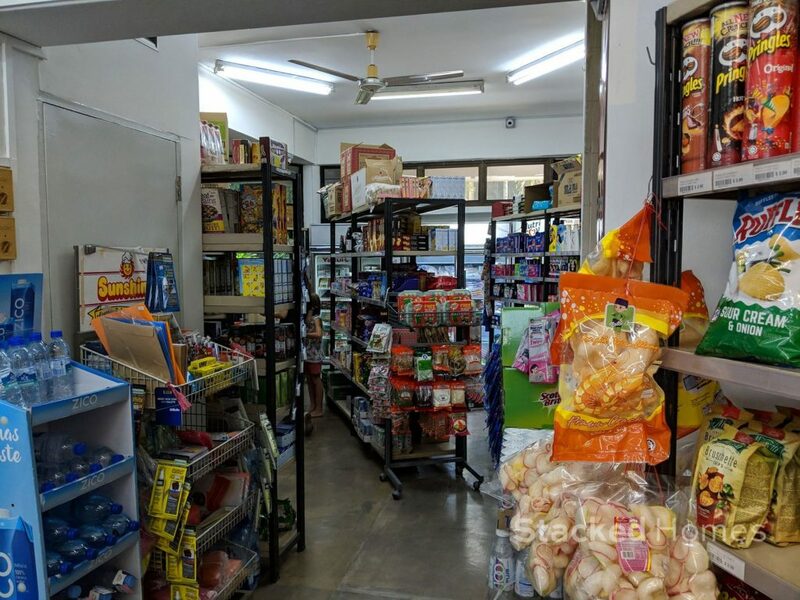 Of course there is always grocery delivery services such as Redmart and Honestbee but nothing quite beats just going downstairs to get something that you need urgently. Interestingly, this minimart also serves as a Ninjavan drop-off point for your online purchases, so you can chalk that up as a minor plus point. The stock on hand is actually quite large, so most of your daily needs should be covered here. In the event you need some last minute touch ups, there is even a beauty salon. 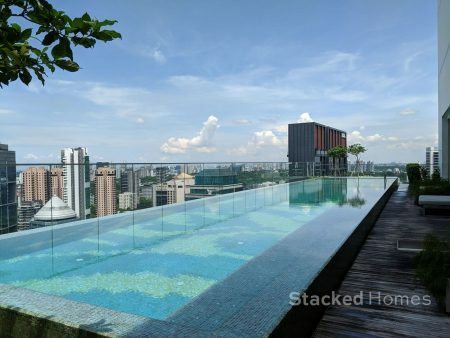 There is no modern infinity swimming pool here, but what you do get is a proper sized swimming pool. Its large and you can actually swim lengths in it. 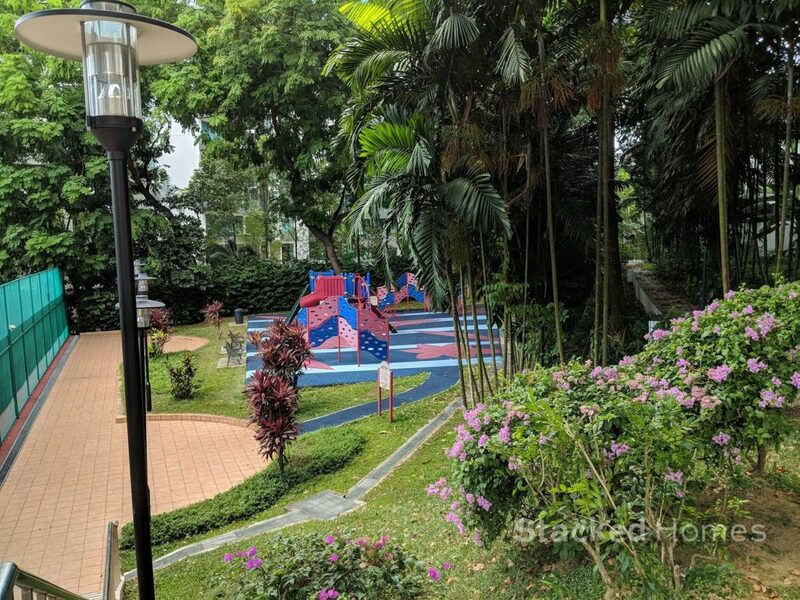 The swimming pool area in Sommerville Park is really reminiscent of the old school swimming complexes that used to exist in Singapore. Unfortunately, we did not manage to capture a shot of the gym, which is just at the swimming pool. You do get a proper gym, with equipment such as the smith machine and free weights. 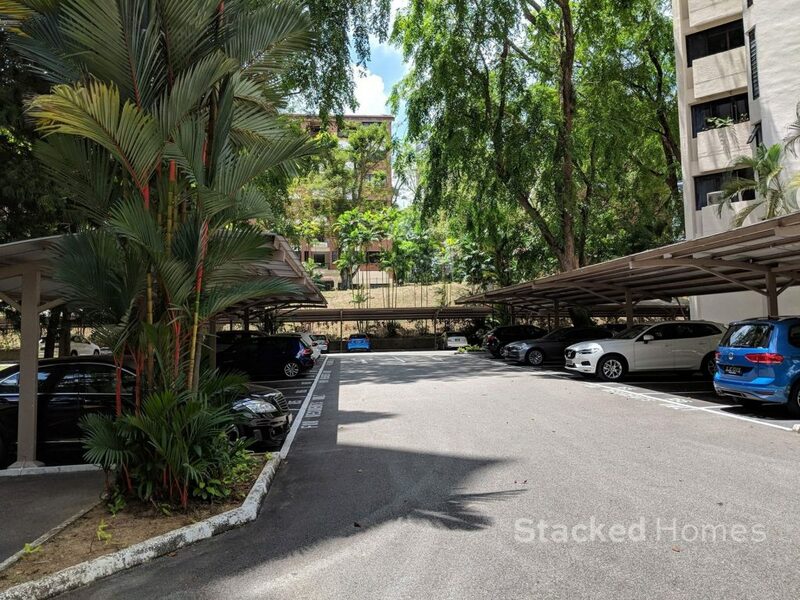 There is just so much space here, you really do have to go down to see just how much space that you get, it is really refreshing from all the small condominiums that you see nowadays. The ground floor maisonette units are really attractive here. They are spacious and the open patio is great for entertaining guests. These lead out straight to the swimming pool. 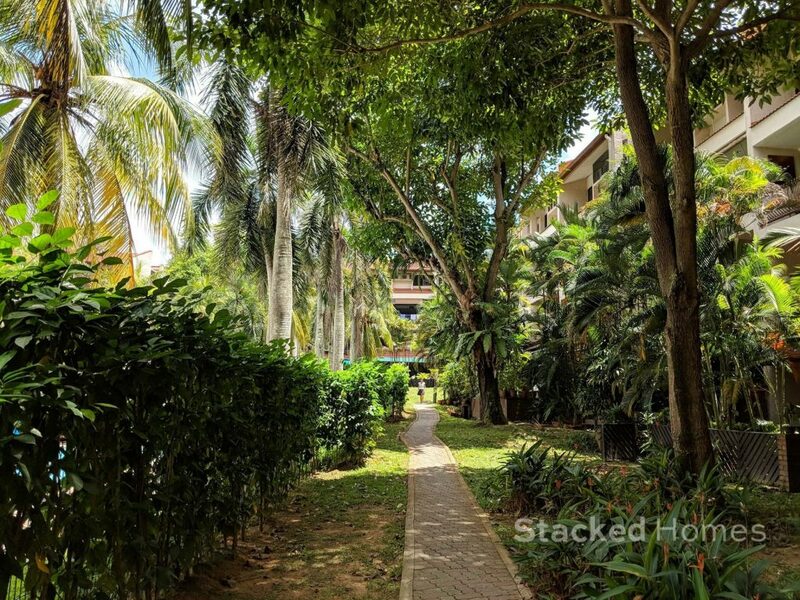 Tall hedges for privacy between the swimming pool and the living areas. One downside to these older developments is the lack of shelter. So if you don’t drive and are staying in one of the units that is further in, you will need to carry an umbrella with you at all times. 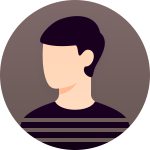 Also, you will face a bit of a walk just getting in and out of Sommerville Park itself. Some of the backyards here have a lovely facing, just loads of greenery and peace and quiet all round. The units here do not exactly have proper car park shelter, but you do get your own dedicated car park lots. 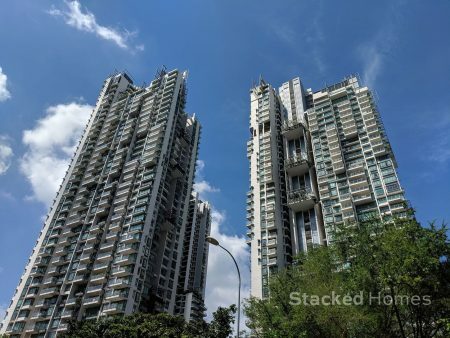 You can really tell from here how much the design of a condo has changed in Singapore over the past few decades. 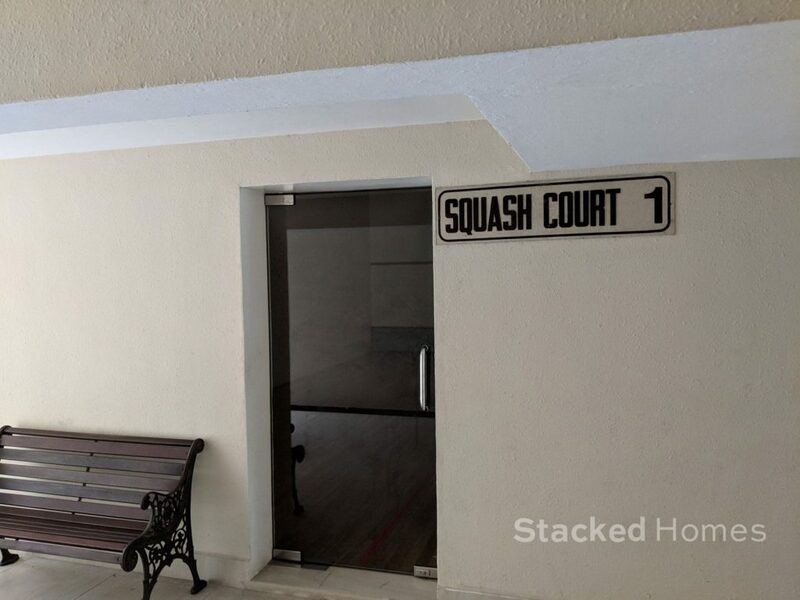 There are 2 squash courts here, another facility that is getting rarer to find in condominiums nowadays. 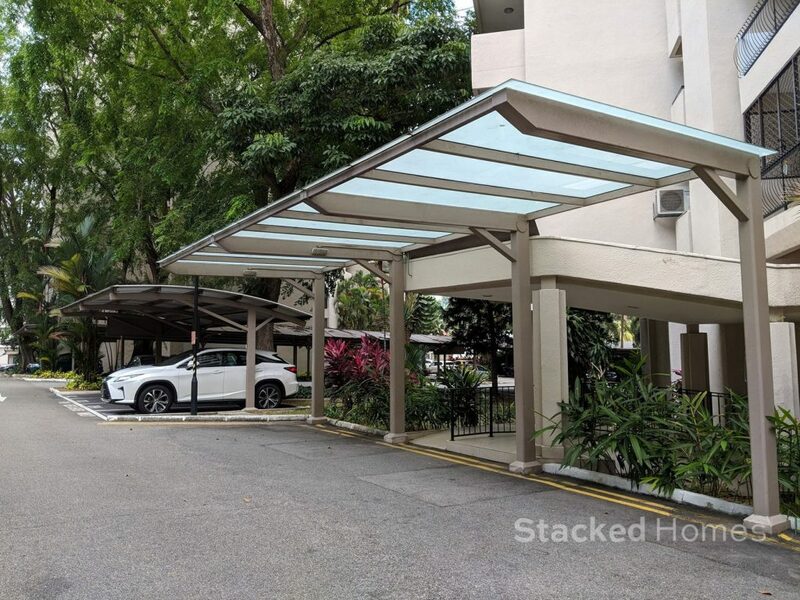 Sheltered drop off points to the main apartment blocks will come very useful when it rains. The bigger playground at the corner behind the tennis courts. These lead to the two tennis courts of the development. They are well maintained despite the age of the development. Further beyond is Holland Road where you have access to the bus stop. 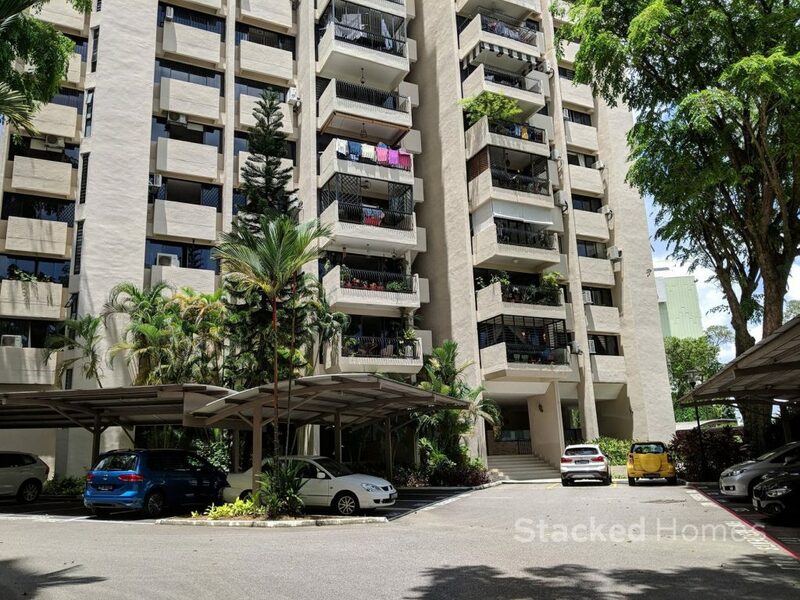 If you are looking for a development that has lots of space and spacious units but yet in a prime location, Sommerville Park does tick a lot of those boxes. As long as the look of the exterior does not matter as much to you, this development has a lot to offer. 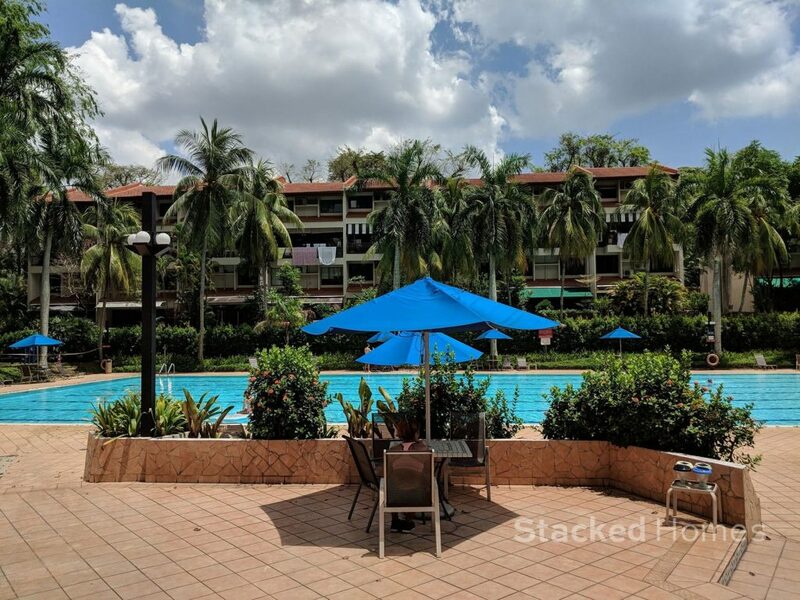 Young families that want to give their children more outdoor space to play with and older generations that value spaciousness and expats will get a lot of value from staying here. Next articleRivergate Condo Review: Best riverfront condo in River Valley? Next: Rivergate Condo Review: Best riverfront condo in River Valley?